I am delighted to introduce you to one of my favorite writers and friends, Katie Ganshert! My first introduction to this talented author was when I read her debut novel Wildflowers from Winter and subscribed to her website which resulted in receiving a welcome package from Katie in the mail. I don't remember everything that was in the package but I do remember thinking how sweet it was of an author to give a note and token of appreciation to their new readers! Katie and I connected on her social media, bonded over our similar backgrounds (we were both teachers who wanted to pursue writing full-time) and I've been a fan of Katie's beautifully written creative fiction ever since! 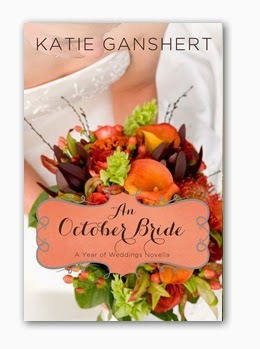 So without delay today, I'd like to start my introduction of Katie Ganshert to you through a mention of her first novella released this year, An October Bride. Alexis: Why did you write An October Bride? And how were your adorable main characters Jake and Emma born? Katie: I was asked to participate in the Year of Weddings series with Zondervan. Every story needed to feature a bride. So I did some brainstorming, trying to think of something a little unique. I came up with the idea of a bucket list. What if a young woman found her dying father’s bucket list, and walking her down the aisle was on there? From there, Emma and Jake were born. As a writer who or what inspires you? All kinds of things. Music. Evening drives on back roads while listening to music. The Bible. Sermons at church. Great stories. People watching. Inspiration is everywhere. Give my readers a glimpse of your personal life: What is your favorite color/food/music/movie/season? Are you married? Do you have kids? Yes, I’m married. My husband and I celebrated our ten year anniversary back in June. We have two children—Brogan, who is about to turn six, and Salima, who is two and a half. She’s not home with us yet though. We adopted her from the Democratic Republic of the Congo and are waiting for the day we get to bring her home. Fall is my favorite season and I have too many favorite foods, movies, and colors to name just one. Describe your writing space. What makes it special? It’s a small room in our house with a book shelf for all my books and a desk for my laptop and printer. There’s nothing too special about it, other than the fact that it’s the place I do my creating. Christmas, because of what we’re celebrating. This amazing, all-powerful Creator who comes down to us as a tiny baby to be our rescue. It takes my breath away just thinking about it. Do you have a holiday novel or novella in the works? If so, would you please give my readers a glimpse of the story? My next novel, The Art of Losing Yourself, releases in April. I’m finishing up line edits on it. It’s about two hurting half-sisters who come together to breathe life back into a rundown motel. It’s inspired by the passage about the valley of dry bones in Ezekiel 37. Why do you write? What motivates you? I write because it’s a gift God’s given me and I want to use it for His glory. I love creating characters and stories. I love words. And it helps me process. My readers motivate me. Getting a kind message from them about how my books encouraged or inspired them always motivates me to keep going. I usually push through it, mainly because I have to. Deadlines don’t care too much about writer’s block. So I go on a walk, or I brainstorm with a writer friend, and I keep putting words on the page, even when I don’t feel like it. I don’t think I could ever pick one! There are too many I enjoy! Francine Rivers, Becky Wade and Beth Vogt are just a few of the many I love. What are your hopes and dreams for your writing career in the next 5 to 10 years? Hmmm…I guess my hopes and dreams are that the Lord would continue giving me stories and an avenue to share them with readers. I hope that my readership continues to grow, too! How does your faith in God influence your fictional stories? My faith in God is everything, so every story I write is influenced by my faith. Some stories more overtly than others. Why do you specialize in “writing faith and romance” as it says on your website? For now, the stories I’ve written are all inspirational fiction, meaning faith plays an integral role in the story line. These are the stories God’s given me to write. My goal is to be faithful to Him, in whatever I do. Can you see yourself in any of your characters from your books? Why or why not? Please share which character(s) you relate to the most. I suppose there’s a bit of me in every character I write. I probably can relate the most to Robin Price, from Wishing on Willows and Marilyn, from A Broken Kind of Beautiful. Both women have experienced infertility (a journey my husband and I have traveled through) and the trials these women face draw them closer to the Lord. Some people get angry or bitter at God when they face difficulties. I’m a lot like Robin and Marilyn in that I don’t get angry at Him. I just lean into Him further. I’ve seen too much of His faithfulness to question it, and I know our circumstances do not dictate His goodness. 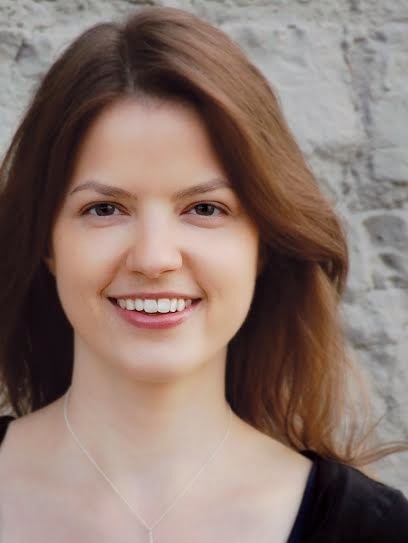 Your agent is Rachelle Gardner who many writers consider their “dream agent”. Tell us how you managed to get her as your own agent and share advice for writers who do not yet have an agent. I went to a writing conference and had an appointment with her. I came with a polished manuscript and had practiced my pitch. It also helped that one of her clients put in a good word for me. After our appointment, she asked me to send her the full manuscript. I did, and two months later she called to offer representation. My biggest advice is to learn as much as you can about the craft of writing, and once you have a good, solid story that has received really positive feedback from objective beta readers (people other than family and friends), save the money to go to a writers conference where you can meet with agents face-to-face. Querying can work, but it’s a very very very hard route to take. Who is your book publisher? How has your experience been with them so far? Waterbrook Multnomah, a Christian imprint of Random House. They’ve been absolutely wonderful. What would you say is the most challenging and most rewarding part of the writing/publishing process? The most challenging is writing even when life is stressful and the inspiration isn’t there. The most rewarding is hearing from readers! Is your life today what you hoped it would be when you first knew you wanted to be a writer for a career? Please explain. In some ways, yes. In some ways, no. Being a published author, while amazing, is so much hard work. There’s no getting around it. And just because you’re published doesn’t mean the insecurity goes away. In fact, I’d say a whole new set of insecurities crops up. Complete this sentence: As a writer, I always ____________________ because __________________. Alexis: Thanks for the interview Katie! Is there a question you’d like my readers to answer for you? If so, please write it here. Katie: What makes you pick up a book? Alexis will announce the winner on Monday, Nov. 10. Every person who comments on this author interview blog post needs to include their e-mail address at the end of their comment so that if they win, they can be contacted with the exciting news and give the information necessary for Katie's publisher to send their free book in the mail. Please note the only book not included in this giveaway is Katie's novella, An October Bride. 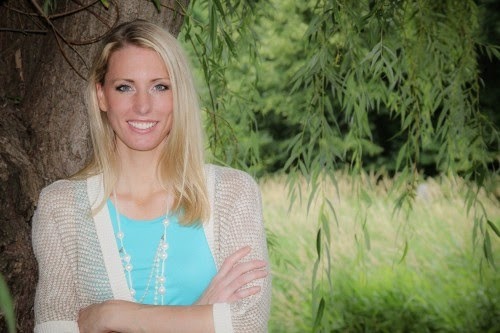 Christy Award finalist and Carol Award winner, Katie Ganshert, graduated from the University of Wisconsin in Madison with a degree in education, and worked as a fifth grade teacher for several years before staying home to write full-time. She was born and raised in the Midwest, where she lives with her husband, their young son, and their goofy black lab, Bubba. When she’s not busy writing or playing or reading or snuggling, she is obsessing over the paperwork and the waiting that comes with adoption. You can learn more about Katie and her books by visiting her website or author Facebook page. 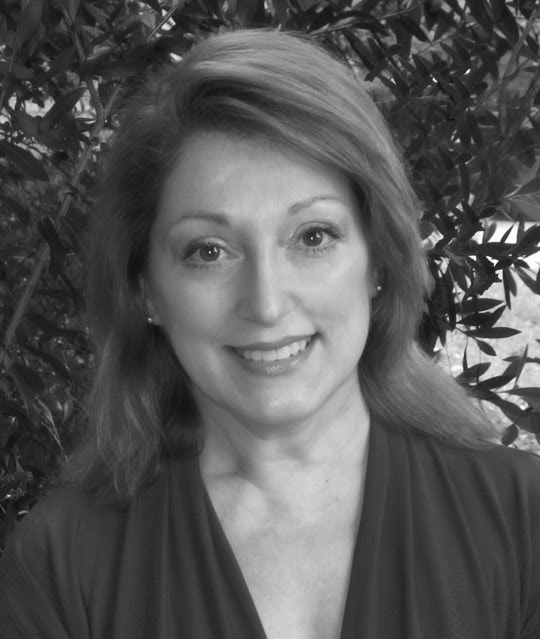 Today, I would like to introduce you to Cynthia T. Toney, an author who has a passion for writing young adult fiction! Cynthia is here to give you a glimpse into her life as a writer and to tell you about her award-winning book Bird Face. At the end of eighth grade, Wendy Robichaud doesn't care one bit about being popular like her good-looking classmates Tookie and the Sticks—until Brainiac bully John-Monster schemes against her, and someone leaves anonymous sticky-note messages all over school. Even her best friend, Jennifer, is hiding something and pulling away. But the Spring Program, abandoned puppies, and high school track team tryouts don’t leave much time to play detective. When secrets and failed dreams kick off the summer, will Jennifer still be around to support her as high school starts in the fall? Using humor and offering hope, this story for ages 11 to 14 delicately addresses issues of bullying, eating disorders, imperfect families, and teen suicide. Alexis: Your book Bird Face won the Bronze Award for Pre-teen Fiction Mature Issues. Congratulations! Why did you write Bird Face, what is it about and how do you feel about winning the award? Cynthia: Thank you, Alexis. The Moonbeam Children’s Book Award validates my purpose in writing the story. I wanted to show kids who are shy or feel like outcasts or who are growing up in difficult situations that they have the power within themselves to become the person they want to be. When you’re young and at the mercy of others around you who are unkind, it’s hard to believe that life won’t always be like it is right now. I hope the story of Bird Face encourages them not to give up on themselves. What does your book title Bird Face mean? Bird Face is actually the common name for an abnormality of the face. The bully character in the story calls the main character that name, and because she is already self-conscious and has trouble making friends, she is crushed when she learns what it means. According to your blog post about the book Rivet Your Readers, “deep POV puts the reader inside the POV character’s head, allowing the reader to experience what the character experiences at the moment he or she does”. Why do you recommend Rivet Your Readers as the best book to help authors create deep point of view (POV)? It isn’t the only book that helps in understanding deep POV, but it is a small and handy reference. There are larger volumes that contain chapters on POV, and I use them too. But if improving POV is your focus, I recommend the inexpensive Rivet Your Readers with Deep Point of View. If you’re just getting started writing fiction, it will help you select the POV and tense to tell your story in. How have you as a published author, created deep POV in your story? Please share a snapshot of your insight, method and writing techniques. 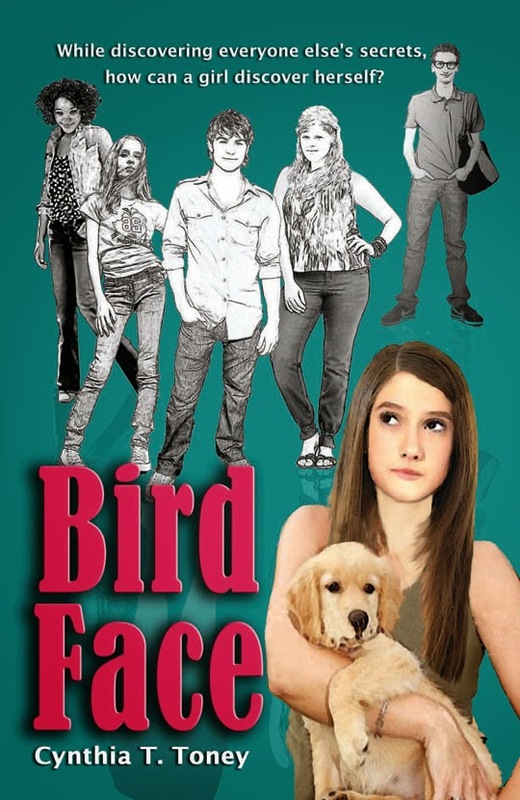 Bird Face is written in first person, past tense, in the single POV of Wendy, a half-Cajun girl. I never change the POV to that of any other character, therefore the reader can’t know anything except through Wendy’s eyes. I put myself in her shoes and constantly asked myself what she would do, think, or say in reaction to any given motivation. As much as possible, everything she experiences is written as though it were coming from inside me. For example, I didn’t write, I thought I should go. I wrote, I should go. Who is your publisher? Do you have an agent? How did you get published? My publisher is SharksFinn Books, an imprint of Port Yonder Press. I learned of Port Yonder Press from a critique partner I acquired after joining American Christian Fiction Writers (ACFW). I can’t stress enough the benefits of belonging to ACFW. Make the small investment that first year, and the renewal is less after that. Writers can connect with critique groups and receive online courses, among other perks. Members learn about publishers and agents through ACFW, although I don’t currently have an agent. What is your target audience? Do you only write young adult fiction? Why or why not? Technically, my target audience for Bird Face is girls from ages 11 to 14, but women have responded well to the story. They say they relate it to their middle school or junior-high years and wish they had read a story like it back then. Men like reading it in order to relate to their daughters and discuss it with them. For now at least, I write only YA fiction. It’s what I most enjoy reading. Describe your passion for writing. When did you start? Why did you start and where do you want your writing to go in the next 10 to 15 years? My writing started with trying a number of different types of writing. Greeting cards (couldn’t sell any of that). Catalog and direct-response mail (as part of a marketing job). A decorating newsletter (my own). Articles for online publications (paid and unpaid). Then I had the crazy idea to write a book! I had a lot of interruptions, so it took a decade. But now, writing novels for teens is all I want to do. I have a YA historical being looked at by a publisher, and I’m working on a sequel to Bird Face, so I hope to have another book published in the near future. Would you say your faith plays a role in your writing? If yes, then please explain how. Definitely. I asked for guidance in telling the story of Bird Face and help in getting it into the hands of girls who needed to read it. When searching for an agent or publisher, I prayed every day for one who would recognize the book’s value. And the praying never stops, because I need all the help I can get in marketing it. Are you able to make a decent living as an author or do you have another job? Because my husband retired and we live very simply, I was able to quit working a day job and concentrate on a writing career. We’ll see if it eventually earns a decent living! If you were not a writer, what would you like to be? A veterinarian. I love animals, especially dogs. I help rescue them from animal shelters before they are euthanized. I use whatever spare room we have, preferably a small bedroom. Little everyday things that inspire a character, piece of dialogue, or a subplot. I think readers like to see bits of themselves and their lives in a story that also offers them something new. Wendelin Van Draanen, Betsy Byars, and Judy Blume, all authors of contemporary novels for teens. What Christian fiction books are on your must-read list and what books from the Christian fiction genre do you recommend? Please name a few and provide a sentence or two as to why my readers should go buy these books. Two interesting novels I’ve recently read are Crooked Lines and Moonfall: Tales from the Levant. In Crooked Lines, a girl in the U.S. and a boy in India grow up and start very different lives, but their paths eventually cross. Moonfall is a fictional account of the fall of Jericho that provides a glimpse into what life must have been like for the people of that time, told from the POV of a teenage girl. Why should my readers buy and read your book? The story of Bird Face is unpredictable. It holds something new for each reader, I believe. What is your favorite beverage? My own iced coffee. What is your favorite color and why? Blue, because it makes me feel cooler. If you could live one place in the world for at least one year, where would you live and why? Italy--because of the natural beauty, the art and architecture, the music, and the food! Complete this sentence: As a writer, I ________________ because ___________________________________. As a writer, I love to revise (call me crazy) because I love improving or adding details that make a story come to life. Thank you for the interview, Cynthia! Cynthia enjoys writing both historical and contemporary teen fiction with a touch of mystery and romance. She holds a BA in art education with a minor in history, and her career began as an advertising designer and marketing copywriter for newspapers and other publishers. She has a passion for rescuing dogs from animal shelters and encourages people to adopt and save the life of a shelter dog or cat. She also enjoys cooking Cajun and Italian and studying the complex history of the Southern U.S., where she resides with her husband and several dogs. Today I place the music video before the written message because I want to show how amazing God is and I believe that song "God Speaking" by Mandisa says it all! I could end my post here but I won't because I have a testimony to share. Here's the story: I've been in a season of waiting on God for about three years now. I thought my career was taking off when I moved to Montana to take my first big break in Journalism as an Editor and Reporter for a county newspaper. But that did not work out and after a few months of being there, I took a one-way flight home just in time for Christmas Day. The classic song, "I'll Be Home for Christmas" has a brand new, special meaning for me now. I loved the people in Montana--they were so nice and sweet--but I did miss home and am so grateful to be back! Since returning from my brief stint as a "real" (full-time, salaried) journalist, I've returned to work as a freelance writer for a newspaper and I love it. My heart's passion is the arts and as a freelance writer, my work schedule is flexible so I do have time to work on the creative side of my writing which includes marketing my first book (Hope in My Heart: A Collection of Heartwarming Stories) which was released in Sept. 2013 and also working on my next book project. I'm in a good place creative-wise but not financially as I'm not fully out of the "starving artist" phase of my career. So today, I felt discouraged and inside my mind I was sinking fast. I felt discouraged because as I said, it's been three years since my last steady job complete with salary and benefits and while I don't envy the people who have to work from 9 to 5 or later, I do miss having stability in my career knowing that no matter what, as long as I am employed by this organization, I will receive a paycheck of an sufficient amount every two weeks. Now while I miss that stability, I do not miss not being at peace and feeling trapped if not suffocated because to me, writing is like breathing and during those years when I tried to fit the 9 to 5 steady job mold, I felt like I could not breathe. I love the freedom of being a freelance writer but have been praying to God to bless me with more high-paying clients so that my finances will not be an issue. I do have my moments--earlier today as I was driving I told God that I need a steady, reliable job that pays me my worth. But in this season of waiting, I've been experiencing silence from God and I often express my concern to trusted people that God isn't speaking to me. "He's being SILENT," has been my classic, most repeated line for the past three years. Now here's the part that leads into the song I just shared with you: Just today, like a literal hour ago, when checking my e-mail, I read a message from one of the people who regularly critiques my creative stories. She was impressed by my most recent story submission and felt the need to write a letter to me at the end of her critique notes she made on the word processor document. This critique partner who we'll refer to as R, told me that she thinks I'm a natural writer, an artist and that God's given me this talent for a reason. At the end of her letter, she told me to not give up, to keep writing because God has big plans for me. R's words helped me so much because it lifted me up out of the discouragement I was facing earlier today--she threw a metaphorical lifesaver over me just in time to keep me from drowning in the sea of negativity I was sinking into--and I knew after sharing R's encouraging words with a true friend, that God was speaking. "I don't EVER want to hear you SAY that GOD is NOT speaking to you after this, Alexis," the friend told me after I read the e-mail from R.
Here's what I've learned from this experience: When God speaks, you need to listen. When God speaks, you may be caught by surprise but delighted. When God speaks, you have peace. So this Thursday, I am so thankful for God speaking to me through R and encouraging me on my journey/pursuit of a career as a creative professional. I want to encourage you in your life journey too. Know that wherever you are headed, God is already there. The Bible says He knows "the end from the beginning" (Isaiah 46:10) and He is waiting for you to trust Him. So if you're in a season of waiting like I am experiencing, I want to encourage you to continue trusting in God. Keep the faith. The wait is worth it! Today I am especially delighted to share a new author interview of a real, professional screenwriter and novelist named Jerusha Agen! An aspiration of mine is to be a screenwriter so to interview someone who has done that was special to me. I hope you will be encouraged and inspired by Jerusha’s story! Now here’s what’s in it for you: Jerusha would like to give one signed paperback copy of This Dance and an e-book of A Ruby Christmas to the winners of her book giveaway contest! Please note: if you want to enter this contest, simply reply to Jerusha's question at the end of this author interview. You can reply in the comment section. When you reply, please include your e-mail address so if you win the book giveaway, I can contact you to share the good news and make arrangements for you to receive your FREE gift from Jerusha! The two winners will be selected in a random drawing done by me (Alexis) on Sunday, Oct. 26. So you have two weeks from today to enter this book giveaway contest. I will announce winners under the comment section of this post and will notify the winners by e-mail. So without further ado, here’s Jerusha’s interview with questions by me (Alexis) in bold font and Jerusha's answers in in plain font. Alexis: When did you start writing contemporary fiction and why is it your genre of choice? Jerusha: Since I started writing as a young child, through my teens, and now as an adult, I’ve written nothing but contemporary fiction thus far. Writing historical fiction has never appealed to me, since I’m a coward when it comes to research. I can already get overwhelmed with the surprising amount of research required for a contemporary novel, so for me, tackling the amount of research required for writing historical novels would feel a bit like climbing Mount Everest with just a pick axe. You’ve said on your official website, “Words are powerful. When words are used to tell stories, they’re unstoppable.” What do you mean? Share an example. The best examples I know of are found in Scripture. When Jesus Christ wanted to get a point across that His followers would ponder and remember after His departure, He used stories we call parables. He created us, humans, in His own image and instilled in us a tremendous love of story. Stories move us like nothing else, inspire like nothing else, and teach us, for good or bad, like nothing else. The best evidence of the power of words? Our Lord chose words as the mode of communication with humanity. He could have communicated with us through movies, music, or some other medium, but He instead used the written word for His letter to us—the Bible. And to top it all off, our Lord and Savior Jesus Christ is also called “the Word.” Enough said. Your book This Dance and holiday novella A Ruby Christmas looks especially fun and interesting. What can you tell my readers about those two books? This Dance, Book One in the Sisters Redeemed Series, means a lot to me personally, since it was both my first novel to be published and the first novel I ever wrote. The work took many years to get finished, and I often despaired that anyone would ever read it. I’m so thankful that God allowed it to be published so that others can enjoy this story about a former tango dancer who emotionally isolates herself because of a tragic loss. I hope that the tale of how God breaks through her defenses with a handsome lawyer and new difficulties will touch many readers. As the first book in the Sisters Redeemed Series, This Dance also spawned more special stories than I expected all those years ago when I began writing my first novel. A Ruby Christmas was an entirely new experience for me, since it’s a novella written by a total of nine authors. Each author wrote a chapter in this story that follows Ruby Joy Buckner as she travels the world collecting special Nativity pieces and finds love along the way. There were unique challenges to writing a character and one small part of a story that a different author had created. God worked in this project to bring about a miracle of actually having the story be both cohesive and fun! Every creative writer has a muse. What’s yours? I get inspired with new ideas for stories whenever I travel and meet new people. As a homebody introvert, however, those aren’t my favorite things to do, so I prefer my other source of creative inspiration—good movies with powerful stories. When did you start writing movie reviews? Why did you start? What do you hope to accomplish through your blog “Redeemer Reviews”? I started writing movie reviews about three years ago when my brother encouraged me to do so, since he noticed I always had very strong opinions about the movies I watched. My goal with Redeemer Reviews is to help fellow Christians wade through the vast movie choices available to them with the discernment that comes from a biblical world view. I want to encourage Christians to be bold and counter-cultural in our thinking, especially when it comes to our media choices. We need to stand out from the rest of the world as different and not be ashamed of our differences when they stem from our godly perspective that leads us to pursue living godly lives. As a result of writing for Redeemer Reviews, however, I think that God has actually taught me more than any of my readers. He has used my movie review efforts to give me a greater understanding of what it means to think and live as a true, bold, and unashamed Christian in a world in which that is increasingly unpopular. I was born and raised in the Midwest, a particularly beautiful and special part of the country if I do say so myself. Where did you go to college and what degree did you graduate with? Did that degree help you in your career as a writer? Why or why not? I graduated from St. Norbert College in Wisconsin with a B.A. in English (with a Creative Writing emphasis). The education that I received to attain that degree definitely helped me in my career as a writer, since I had the opportunity to do a great deal of writing and receive excellent instruction from my professors. Having foundational “nuts and bolts” knowledge of writing under my belt when I graduated was a tremendous asset to pursuing a writing career. Do you only write novels or novellas (or both)? Explain why/why not. In addition to participating in the serially published novella, A Ruby Christmas, I participated in another serial novella for Valentine’s Day this year, called A Dozen Apologies. The latter novella, written by twelve authors, is a fun romantic comedy that, when it was first published, allowed readers to vote for their favorite hero who would “get the girl” in the end! Since this novella was such a success, Write Integrity Press is releasing a sequel to A Dozen Apologies on Valentine’s Day 2015! Look for news about the release and another chance to vote for a happy ending at my website, www.SDGwords.com (news will be posted in late January). On my own, however, I stay with writing novel-length pieces, since longer stories are what I most love to tell. What would you say is the most challenging part of the book-writing process? Explain why. I think the answer to this question is different for every author. For me, plotting is the most difficult because it requires intense mental concentration and a great deal of patience, which I am sorely lacking. I’ve found that the plotting phase is where God tests me to see how much I trust His timing and actually believe that He is the one giving me ideas to write and the ability to write them. What do you think is the most rewarding aspect of publishing a book? There’s nothing quite like the feeling of finishing a novel. Then again, seeing my name on a book cover was always a dream of mine, as I know it is for many authors. As I continue to publish and move beyond those first milestones, though, I’d have to say that getting positive feedback from readers who are touched by or just enjoyed my stories is very rewarding. Who is your book publisher? Are they a traditional publisher or an imprint? Currently, I’m published with Write Integrity Press. WIP is a small publisher that is fairly new to the industry, but has already become a launching point for many new Christian authors. Keep an eye on the WIP website at http://writeintegrity.blogspot.com/ for contests that offer unpublished authors the chance to become published! I got my start through one of the WIP contests, and I’m forever grateful that Write Integrity took a chance on me and let me get my “foot in the door” of the publishing industry. Do you have a literary agent? If yes, share their name/agency and tell us the story of how you landed your first writing contract. I am blessed to be represented by Chip MacGregor of MacGregor Literary. I was actually offered my first writing contract with Write Integrity Press thanks to one of the publisher’s contests that I entered, which took place before I had an agent. You are a screenwriter! How did you land that gig? Do you have any movies in theaters yet? Yes, I am a screenwriter! I truly love screenwriting better than any other writing genre. I was able to do some screenwriting professionally thanks to getting involved in the local independent film industry in my area. What type of stories do you tell as a screenwriter? Name a few of your films and tell my readers where they can go to purchase and view your movies. I’ve had the chance to write films that span from comedy to artistic drama, but I’m most proud of my own independent short film that I was able to write and direct. That film is called Ornament, and is a hard-hitting look at a little girl’s trauma at Christmastime when she’s caught in a world of domestic violence. In the hope that this short film will impact many lives through individual and group showings, I’ve made Ornament available for free viewing on YouTube. The motto on your website reads, “shine like stars in the universe as you hold out the word of life (Phil. 2:15-16).” What does that saying and the Bible verse mean to you? This verse is one of my favorites (of many!) because it resonates with me as a Christian and especially as a Christian writer. Like all Christians, I am to hold out the “word of life” to an unbelieving world. That “word of life” is Scripture and is also the Gospel of “the Word,” Jesus Christ. For me as a writer, I actually get to write words of life in every story I put down on paper. And, as this remarkably poetic verse says, when we do “hold out the word of life,” we “shine like stars in the universe.” Just stop and really picture that for a moment. Stars are amazing, beautiful, and shine with a light so powerful that it can be seen for incredible distances and contribute light in dark skies to an entire world. WE get to do that. What an unbelievably beautiful promise and encouragement for us as followers of Christ! Your website is called Soli Deo Gloria. Is that Greek (literally)? Explain why you chose that name. “Soli Deo Gloria” is a Latin phrase that means “Glory to God Alone.” The phrase was made famous by Johann Sebastian Bach, who inscribed those words on all of his compositions to signify that his creative work was for God’s glory alone. Other great artists such as George Frederic Handel also employed the phrase in a similar manner. I chose the name because, wherever my writing career takes me, I want the focus of my work to be on God and His glory. I am only able to tell stories and write as God enables me to do so, every step of the way. I am nothing without Him, and my stories would not exist without Him. I also wouldn’t write if not for His calling me to do so. I write for Him, for His glory alone. Do you have a question for my readers? If yes, please write it now. Do any of you have a Scripture verse that particularly resonates with you? Perhaps it’s your “life verse” or a “career verse”? Please share! Jerusha Agen is a lifelong lover of story—a passion that has led her to a B.A. in English and a highly varied career. A member of American Christian Fiction Writers, Jerusha is the author of the Sisters Redeemed Series, which includes the titles This Dance, This Shadow, and This Redeemer. Jerusha co-authored the e-books A Ruby Christmas and A Dozen Apologies from Write Integrity Press. Jerusha relishes snowy Midwest winters spent with her three large, furry dogs and two small, furry cats.